In this issue we congratulate the winners of our 2017 Beautiful Places Calendar contest and introduce the newly designed Die-cast Model. In this issue we highlight one of our most popular Add-ons, the Deck Height Adjuster. Also see the Walker live, get a few summer dealers from Walker Ware, and enjoy the US Independence Day holiday. In this issue we celebrate 25k+ fans, win $2,000, look at new Walker Ware, and honor a life well lived, Margaret Walker passed 05/15/2016. In this issue learn about the new Walker H38i big block mower, our 2017 calendar contest with $2,500 up for prizes, and get a free copy of our latest brochure. 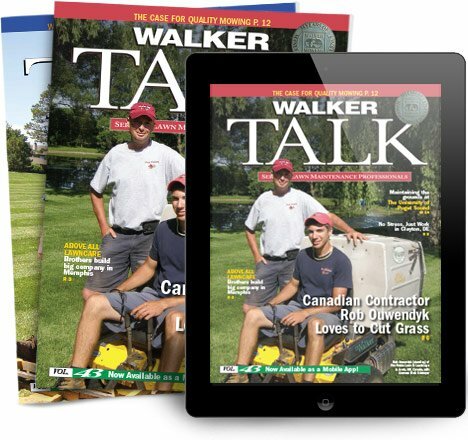 In this issue check out our latest TV commercial, get a copy of our 2016 Product Catalog, and get a pair of our new Walker Work Gloves.